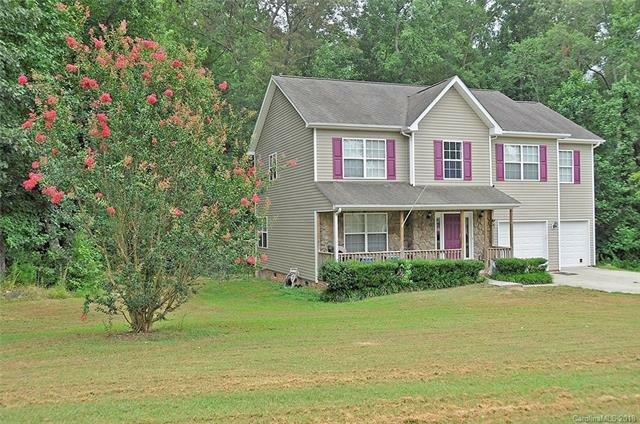 2417 Cricket Lane, Gastonia, NC 28052 (#3411551) :: Robert Greene Real Estate, Inc.
Great home on over an acre of land with NO HOA!!! Welcoming home with a rocking chair front porch. This open floor plan home features a formal dining room with extensive molding, an open eat in kitchen with black appliances, a grand 2 story great room with fireplace, an at home office with french doors, laundry room and half bathroom all on the main level. The second floor features the master suite with trey ceiling and a deluxe spa like bathroom with a walk in closet, spacious secondary bedrooms with one of them that could be a bonus room and a full bathroom in the hallway with a decorative sink. Relax out back on the deck with views of the partially fenced in yard and the mature tress in the back yard that go back to a creek to provide great privacy. New heat pump in 2018 as well as the carpet and laminate flooring.